It’s came to that time where I pull together some of my favourite products of the year and give them away to one of you lucky people! Let’s get straight into it and see what’s in this years huge giveaway! Gillette has been a big brand I’ve worked with this year and last. I’ve used their products for around 10 years now, so recommending them is super easy to me because I know they won’t disappoint. 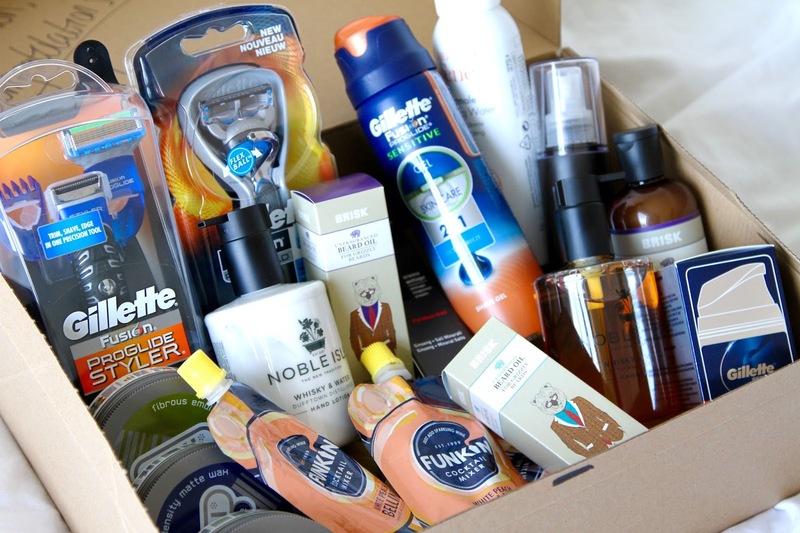 I also wanted some grooming gear in this giveaway to meet the Fathers Day theme, so I pulled together some of my newest/oldest discoveries. Brisk, Noble Isle, Chill and SimplyMan were the perfect go to products for looking after your skin and beard! Because the weather is getting hotter, I thought it was only right to include the Avene Thermal Water Spray and some Funkin Cocktail mixers for the BBQ season! I’m going to be continuously adding to this amazing prize over the week so expect some more goodies. Simply FOLLOW @thisisgiannic on Twitter and RETWEET the pinned tweet at the top of the page! It’s literally as easy as that! To make thing’s even easier, you can do it all below! Good Luck to everyone who enters and I will be announcing the winner next week! Watch this space! Next Post The Ultimate Father’s Day Gift.